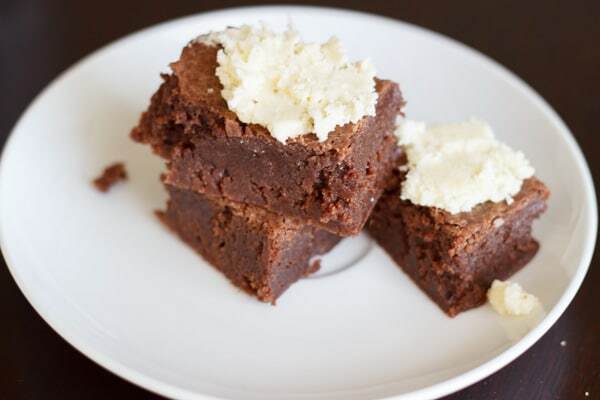 Chocolate Peppermint Brownies - hint of peppermint, no candy canes required! 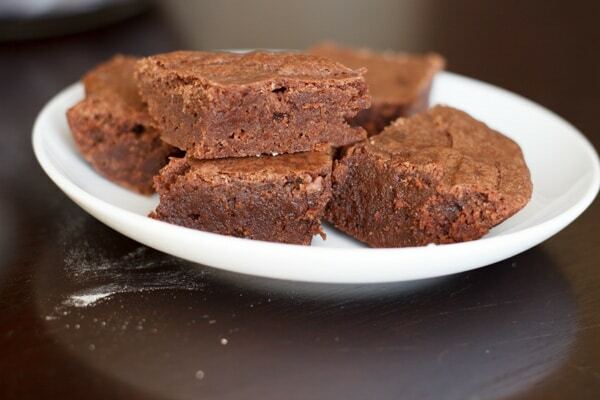 Chewy chocolate brownies with a hint of peppermint flavor. No need to crush up candy canes for this recipe! Before anybody gets me in trouble for baking dessert right now, let me preface this by saying I made these MONTHS ago. I’m just really behind on posting this. Why would I be in trouble at all for making scrumptious baked goods, you ask? 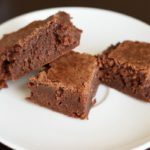 Word has spread about my declaration to focus on posting more healthy creations, and while there will definitely be chocolate themed recipes in my future, these don’t exactly count as skinny brownies. 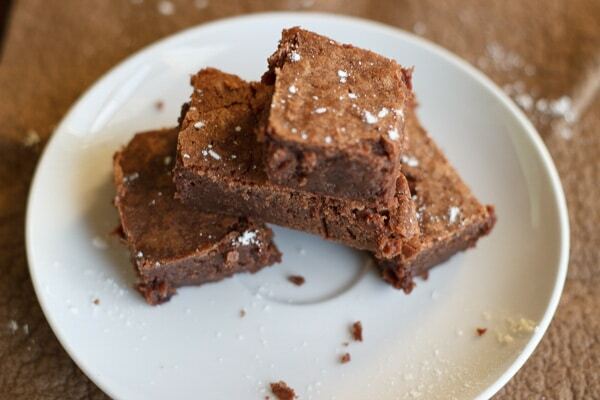 In the meantime, there’s no harm in reminiscing about these lovely chewy peppermint brownies, right? Or just sprinkle some powdered sugar on top. But they are great without toppings, too. I better step away from these pictures or else I’ll want to go make them again. Enjoy! 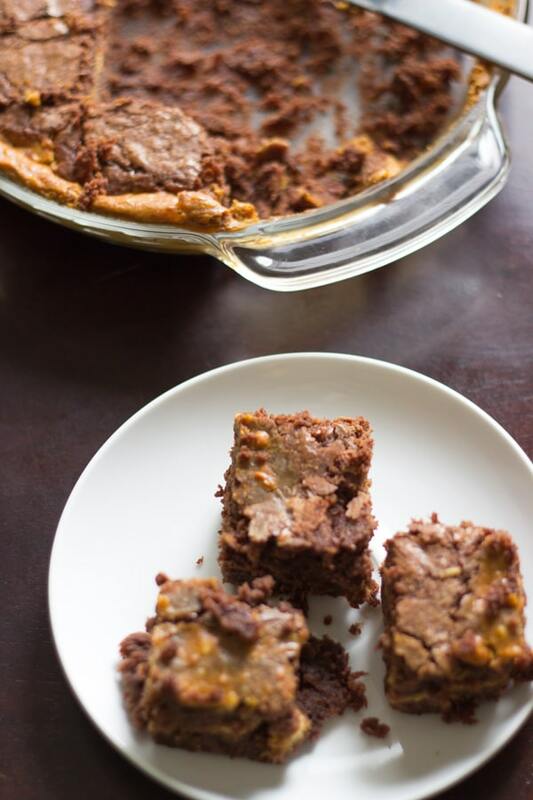 No crushed candy canes required! In a small bowl, melt the butter and chocolate chips together in the microwave in 30 second intervals, mixing until smooth. In a large bowl, add sugar, eggs, and peppermint extract and beat together. Add chocolate mixture and stir. 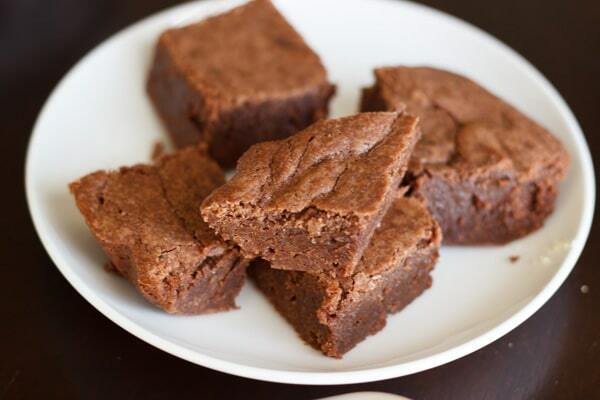 Line a brownie pan with parchment paper for easy removal, and pour in mixture. 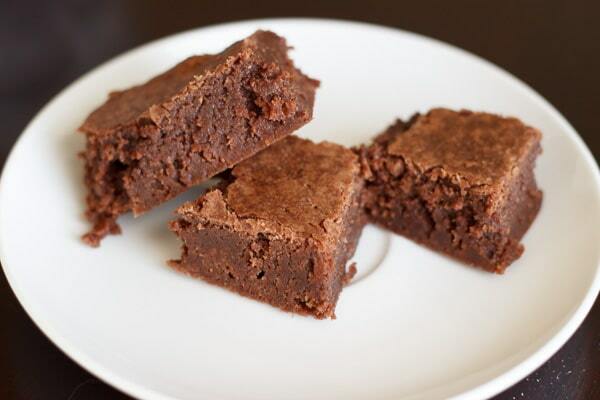 Bake at 350 degree Fahrenheit for 30 minutes or until a knife comes out clean. Let cool before cutting.